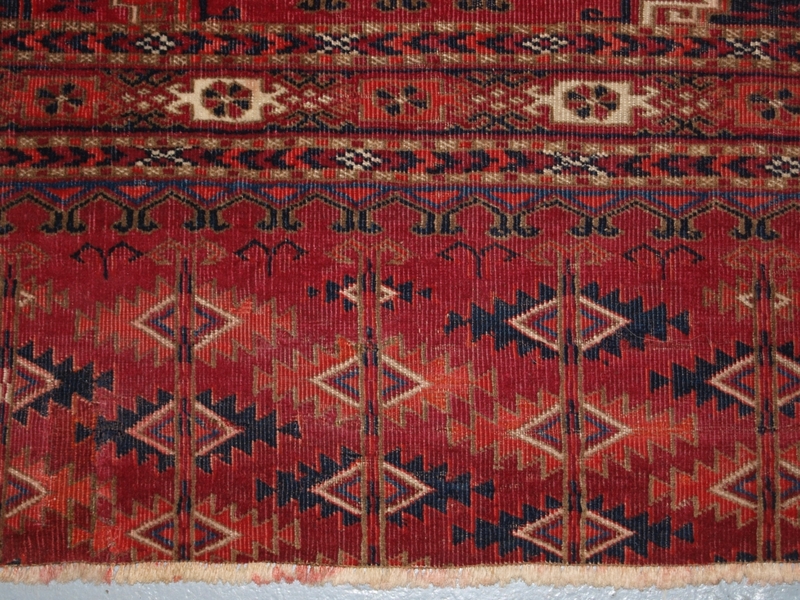 Antique Tekke Turkmen chuval with 'Salor' guls. www.knightsantiques.co.uk Size: 4ft 9in x 2ft 6in (144 x 76cm). 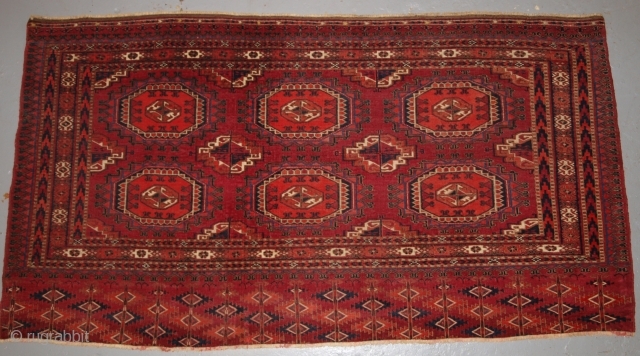 Circa 1880. a very good chuval face with well drawn 'Salor' guls, the major gul is the Salor turreted gul and the minor gul is a very well executed version of the Salor minor gul found on both main carpets and chuval. 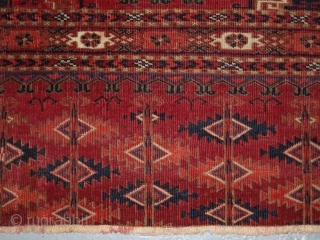 The chuval has superb colours including large amounts of cochineal dye. The drawing of the shrub design in the elem is very pleasing. Excellent condition with very slight even wear. Hand washed and ready for use or display. Stock Number: ms-075.